Pulse, or heart rate, is the measurement of the number of times your pet’s heart beats per minute. Heart rate is one of the most important vital signs caregivers can measure for your pet. When the heart rate is measured peripherally by palpating or sensing the pulse in a limb it is called pulse. The job of the heart is to pump blood throughout the body, supplying oxygen to the cells. Your pet’s heart rate is controlled by a sophisticated mechanism that takes into account the oxygen demand from the cells and makes sure the heart is able to provide it. For example, when a dog runs, its muscles work hard and consume a lot of oxygen. Therefore, the heart must work faster to supply the demand. Fear is another condition that is associated with increased heart rate in pets. When a pet (or a human) is afraid, the body gets ready for a fight or flight situation, and prepares for the anticipated increase demand for oxygen. Depending on the breed, age, medical status and other parameters, pulse rate typically range between 50 and 120 beats per minute at rest. 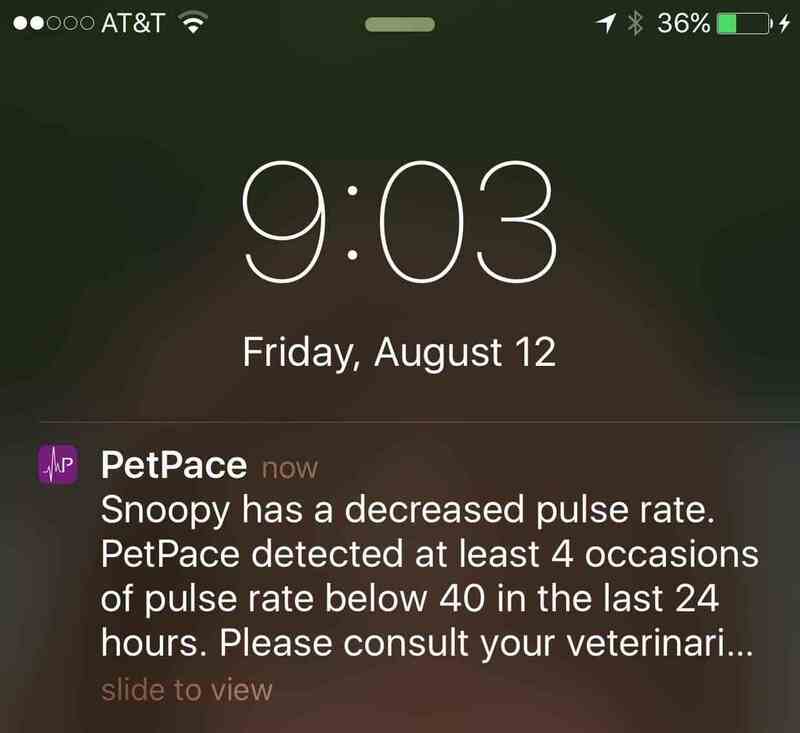 WHAT IF MY DOG OR CAT’S PULSE IS NOT IN THIS RANGE? Continuous measurement and analysis of your dog or cat’s pulse characteristics give clinicians and caregivers important insights into health status. 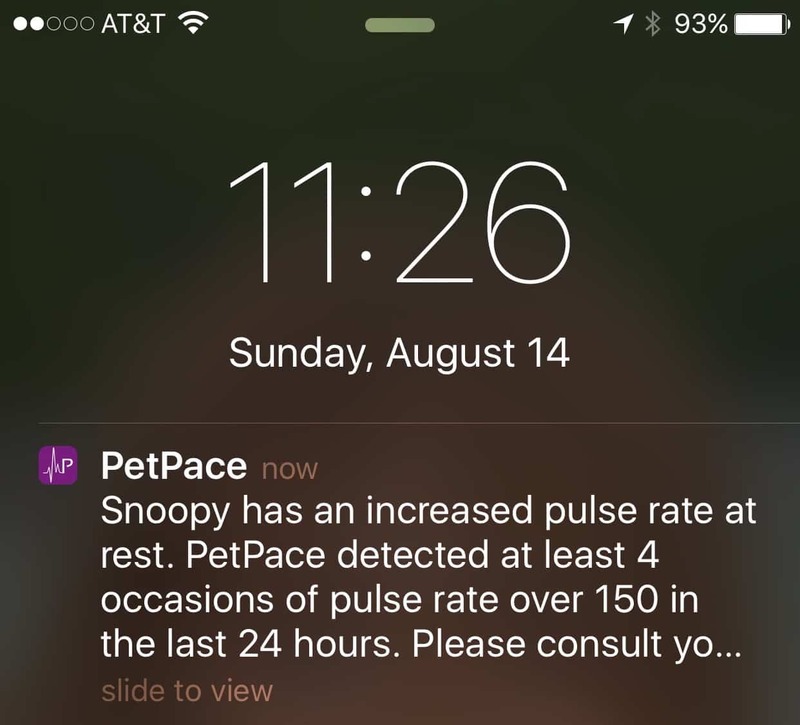 The PetPace collar can help your veterinarian determine if your pet’s pulse rate is inappropriate for his or her condition, and examine whether a disease process is indicated.